AMD has introduced a new EPYC server chip to their EPYC 7000 series lineup which is also their highest clocked part to date. The chip which will be known as the EPYC 7371 is designed to meet the requirements applications that can take advantage of the higher clock speeds and AMD has offered a good boost in CPU clocks with their latest part. In the press details, AMD mentioned that the new chip will be aimed at design automation, high-frequency trading, and other server-oriented tasks that can make use of the higher clock speeds. The chip is compatible with 2S designs so you can put two of those in a rack if you want faster and higher core performance. 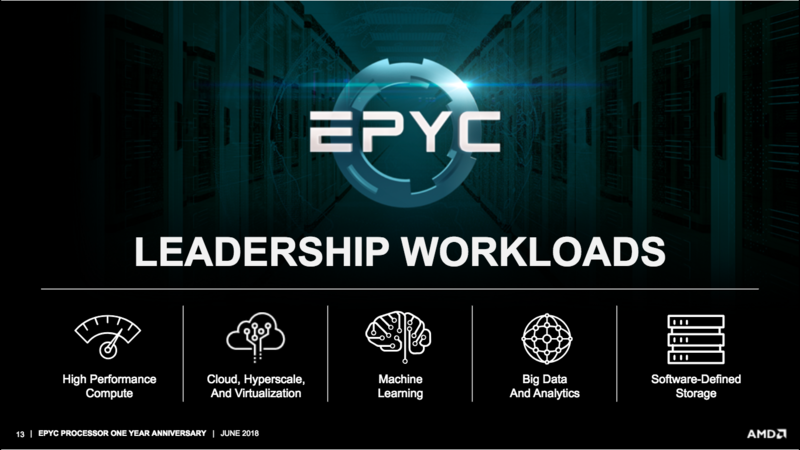 Specifications for the EPYC 7371 include 16 cores, 32 threads and 64 MB of L3 cache. The chip is configured with clock speeds of 3.1 GHz base, 3.6 GHz (16 core) and 3.8 GHz (8 core) boost. These frequencies make it the fastest clocked EPYC chip in the first generation lineup. Other key specs include support for 8 channel memory and up to 128 PCIe lanes (directly from the CPU). Now if we compare the chip to the Ryzen Threadripper 2950X part, another 16 core configured chip which has virtually the same core specs as the EPYC 7371, we see much higher clocks at 3.5 GHz base and 4.4 GHz boost. The part isn’t a fair comparison though since AMD is using their slightly optimized Zen+ cores. So if we compare it to the same Zen core based Ryzen Threadripper 1950X, we still get higher clock speeds of 3.4 GHz base and 4 GHz boost. The thing is that while enthusiast PCs make use of high-end cooling solutions, server platforms don’t get the same lucrative treatment and they have to operate 24/7. Stability matter more and the jump in clocks from their previous EPYC 16 core part (EPYC 7351) which was configured at 2.4 GHz base and 2.9 GHz boost are a great update. 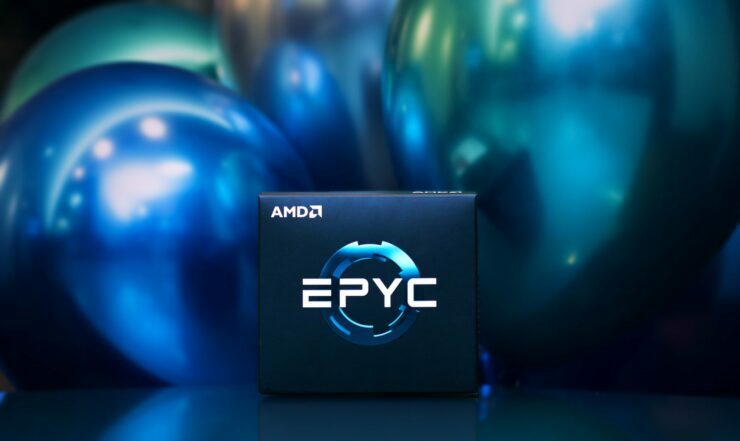 There’s still some time for AMD to launch their EPYC Rome generation of processors and we may get to see an even faster 16 core chip in the line with the help of 7nm process node and architectural changes but those who want a fast solution now for servers have got the option from AMD. The launch is planned for Q1 of 2019, pricing details are not mentioned but expect it around the $1500 US range.